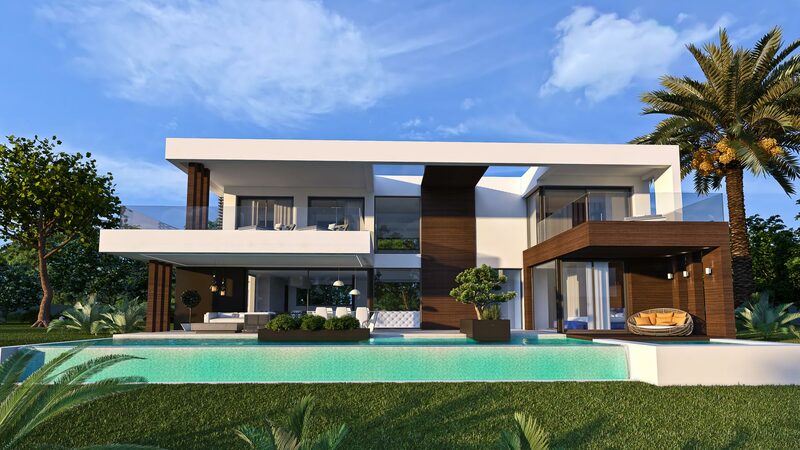 A luxury collection of only 13 exclusive villas on the New Golden Mile between Marbella and Estepona. Located in a magnificent setting with panoramic views of the coast and quick easy access to the local gems of Marbella, Estepona, Puerto Banús and Benahavis. This is undoubtedly one of the area's most exclusive estates, surrounded by stunning scenery in an ideal, privileged position. The villas offer their residents the ultimate in Mediterranean living, where days are marked with bright blue skies, sensational sunsets and the sight of Africa’s Atlas Mountains framing the horizon. With an outstanding selection of high performing international schools and wide range of of child friendly facilities and entertainment it’s a perfect location for the family. Keen golfers benefit from being neighbours to several magnificent courses. The prestigious homes themselves have been designed with striking contemporary architecture and refined, luxurious living spaces. The villas are completely detached with their own automated gated entrance and are built over three storeys with a large basement area, large tropical gardens, private pool and garage. Select from 1 of 13 south-facing plots plus the choice of 5 different villas floor plans. The heavenly natural environment combined with the elegance of clean modern lines delivers the perfect balance of style, comfort and tranquillity. Each villa has been meticulously crafted to cater for today’s modern lifestyle needs. The living spaces flow seamlessly inside to out, while double height 6 metre ceilings give the homes a light, spacious sense of freedom. Floor to ceiling windows and doors illuminate the interior while the clever use of wood infuses the homes with warmth. There is nothing more relaxing than a sea view. The calm ocean waters paired with the grandeur of the mountains give every aspect of the home a unique perspective. Each villa offers at least 4 bedrooms, each with en-suite bathrooms and access to a private terrace, affording infinite panoramas over the garden, down to the coast and beyond. There are options to add more bedrooms, as your personal configuration dictates. The huge master bedroom suite of 44m2 encompasses a luxury spa bathroom, walk in dressing room and a 16m2 private terrace. To add to the open, spacious feel, the room is divided with natural wood and glass partitions, providing the ambience of a private spa. Step out from the living area directly to the pool deck, idea for outside dining, day time lounging and evening sun-downers. A natural stone water feature flows down to a shallow sitting area and the 53m2 infinity pool. Where better to take in the view than poolside... and thanks to the individual elevation and orientation of each villa, there's nothing to obstruct your direct line of sight out to the horizon. These are the most idyllic, private surroundings. Each villa also enjoys a 1,100m2 plot, landscaped with water features, lawns, fruit trees, palms and bamboo hedgerows.